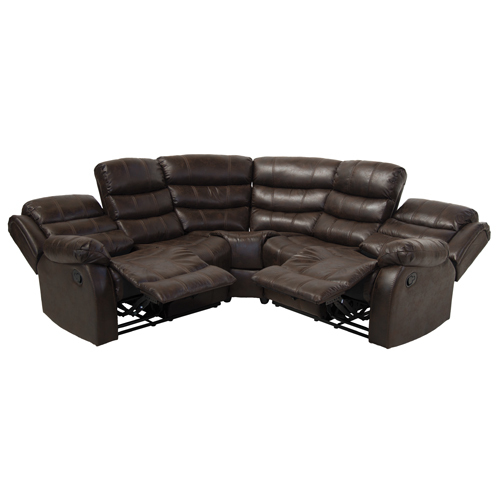 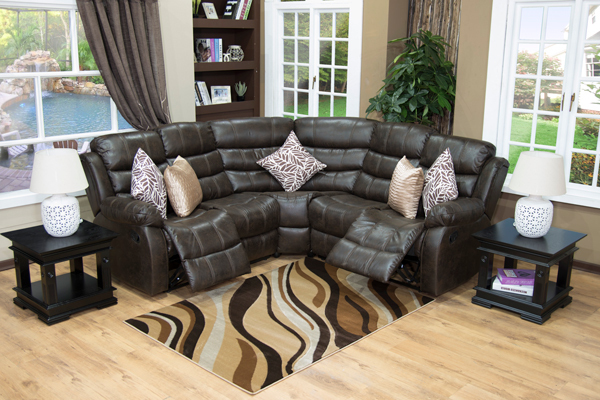 Bring home the versatility of the ZHCI001 Corner Recliner Suite. 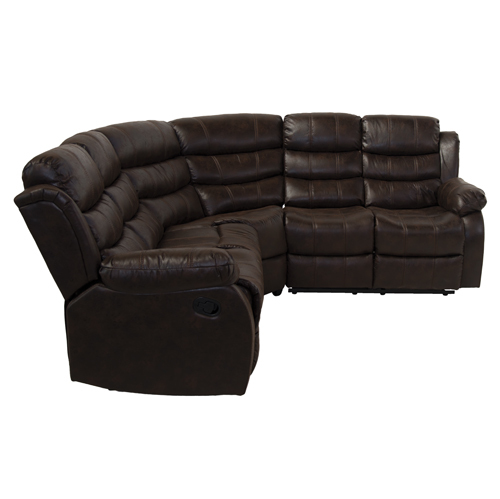 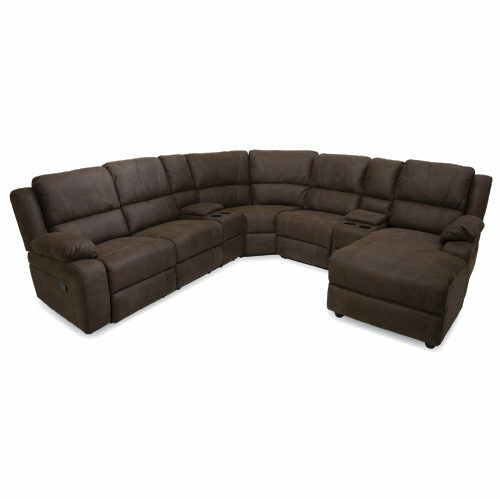 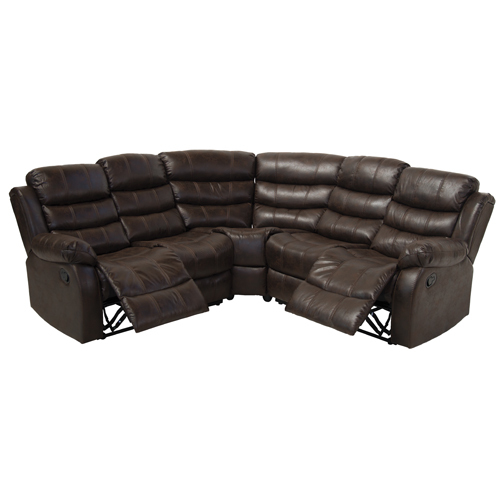 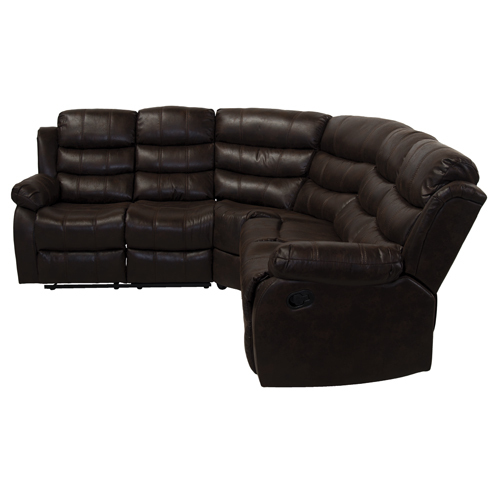 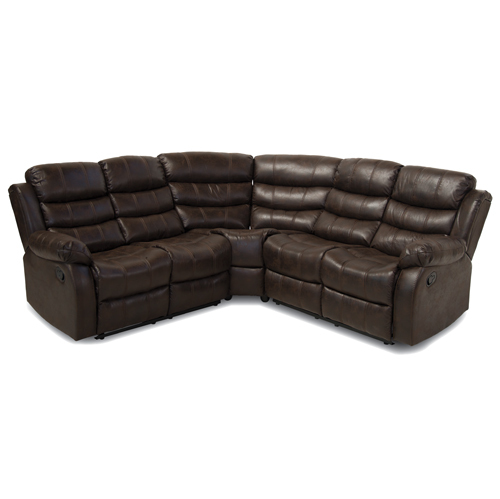 This reclining corner is available in brown palomino suede and is equipped for comfort and relaxation for all of your family and friends. 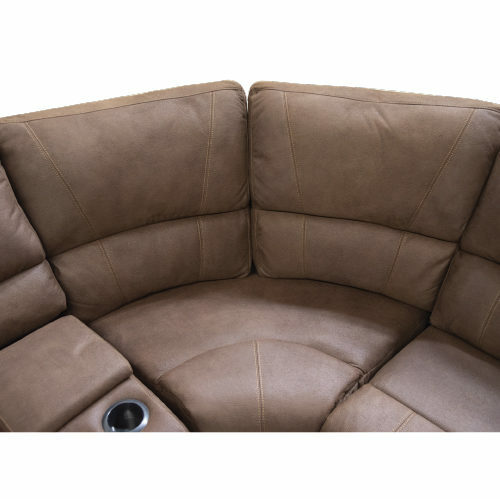 Upholstered in a palomino suede, this sleek-lined corner suite boasts superior lumbar support with its overstuffed cushions and pillow-top arms.